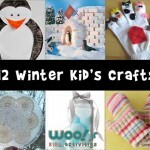 It’s that time of year where it’s getting cold, and you need ways to keep those kids busy inside! 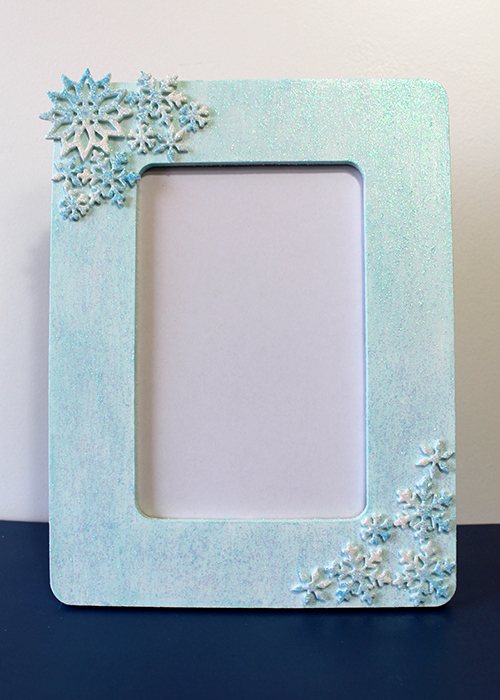 Today I’m going to show you this winter snowflake photo frame craft that is easy enough that a 6 year old can do it with minimal supervision. All they’ll need is a little bit of patience while the paint dries! Paint. 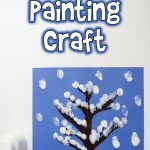 I used white, and blue glitter paint. 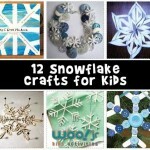 Snowflakes! 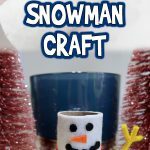 You can use any variety of snowflakes, but I loved these glitter foam ones. Start off by taking off all extra parts from your frame. Mine has a stick style leg that supports it, so I removed that, all packaging, and the photo insert. 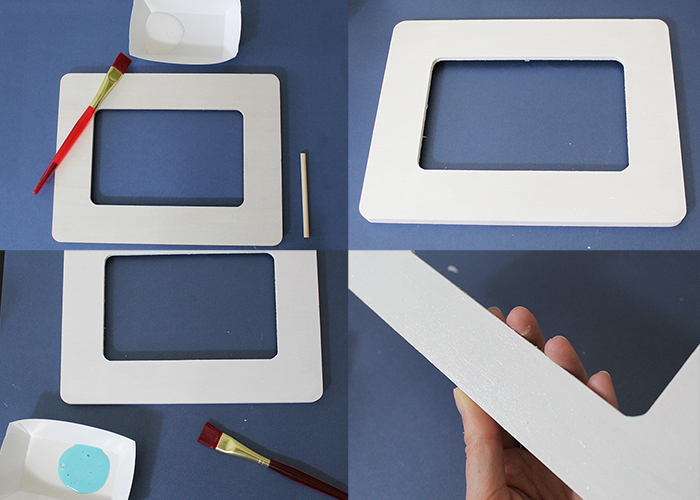 Then go ahead and paint your frame with two coats of your base color, letting it dry well in between. Since wood is so porous, the dry time is actually pretty fast if you’re using all purpose craft paint. You may need more than two coats depending on the type of paint you use. When that’s all dry, you can add your glitter paint. My paint is a colored glitter in a very lightly tinted base, so one layer barely showed. Keep adding layers until you’re happy with the amount of glitter. 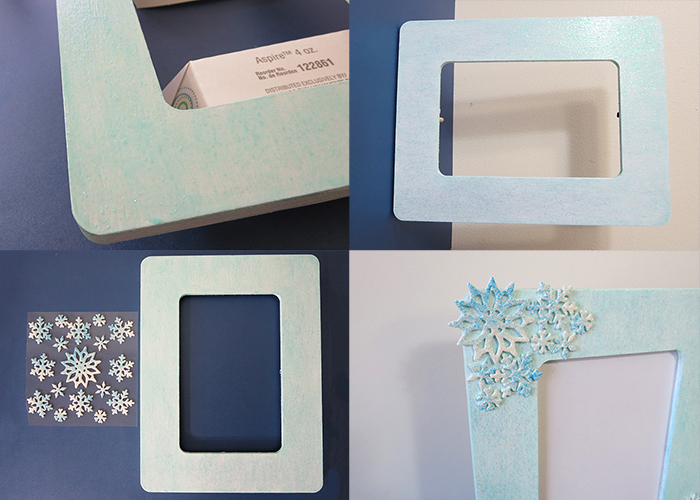 I ended up using 4 layers of glitter paint to get a thick coating of glitter and a light blue tint to my white base. Let this dry for a few hours. 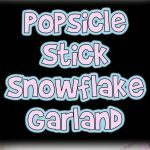 Then add your snowflakes! The ones I chose were sticky backed, so I just stuck them on. 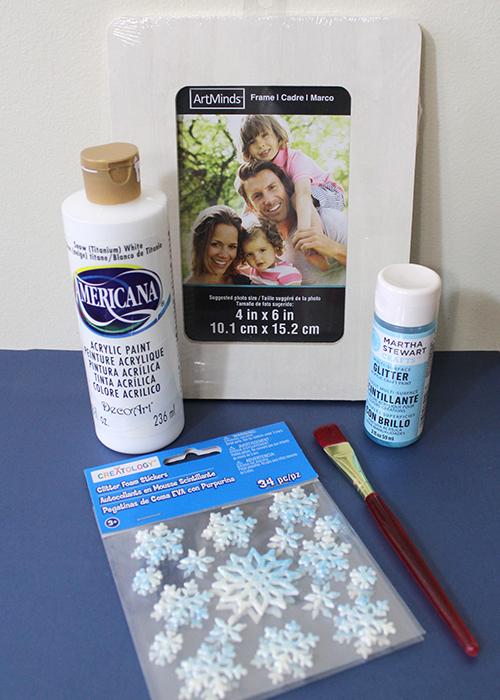 If you’re using non sticky ones, then a basic tacky craft glue is perfect for attaching almost anything to painted wood. I made a simple corner design, but let your creativity go wild and have fun making your design! You’re all done! 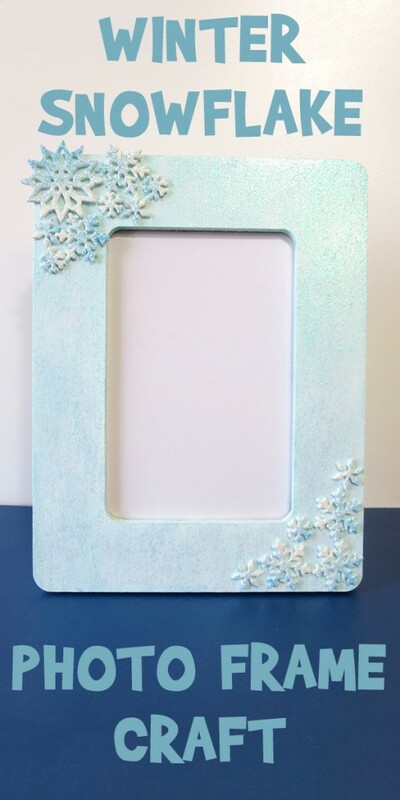 This frame is perfect for those fun playing in the snow photos. 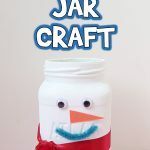 Plus, seeing something they made up on a shelf gives kids an amazing sense of pride in their home!